ENDA KENNY HAS said that Rehab should be forthcoming about how much money its senior executives are earning after three of them declined to disclose their salaries at the Public Accounts Committee this week. But the Taoiseach has declined to say whether senior Fine Gael advisor and former Rehab CEO Frank Flannery should appear before the Oireachtas committee. He said repeatedly that organisations in receipt of state funding “should be forthcoming” on salary rates in a press briefing on the fringes of the Fine Gael Ard Fheis in Dublin today. Three senior executives at Rehab this week declined to tell the PAC what they earn and though the HSE has provided the salary information to the committee it’s not clear yet whether it can be released publicly. There have been calls for Rehab CEO Angela Kerins, who is paid €240,000 annually, to ensure her fellow board members disclose their pay. He said he does “not speak for the board of Rehab” when it comes to whether or not Flannery, a board member but no longer on staff at Rehab, should come before PAC. It’s been reported in the Irish Independent this weekend that Flannery was in Leinster House at the time that Kerins and other Rehab executives were giving evidence for some seven hours at the PAC. Committee members had wanted to speak to the former CEO of the disability organisation. Kerins said that Flannery provided consultancy for Rehab from “time to time” but declined to give details. Email “Taoiseach on Rehab salaries: 'The public like to know these things' ”. 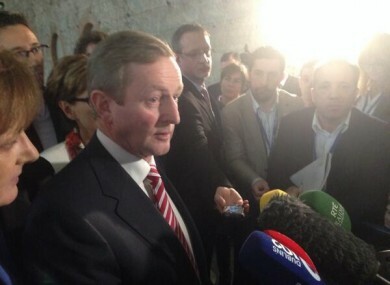 Feedback on “Taoiseach on Rehab salaries: 'The public like to know these things' ”.